The powerful and efficient MHFL-1000W-HB-20C-REM-10C metal halide light fixture from Larson Electronics produces 110,000 lumens of light in a wide flood pattern, is wet area rated and ideal for illuminating work spaces and open areas on a large scale. The unit comes standard with a remote ballast, this means that this unit can be mounted at a different location than it`s ballast. This attractive metal halide fixture from Larson Electronics is weatherproof and suitable for use in wet areas, making it an ideal lighting solution for parking lots, small fields, building exteriors and outdoor work areas. The lamp housing is constructed of die cast aluminum and features an anodized aluminum reflector, captive held lamp door, separate ballast compartment, stainless steel hardware and an attractive polyester powder coat finish. This unit is multi-voltage capable with a remote quad voltage ballast that is isolated within the housing. 1000 Watt metal halide floodlights are also popular for use in hazardous locations and we carry a variety of such units. Please contact us using the information below for more information on hazardous location metal halides. The MHFL-1000W-HB-20C-REM-10C is a metal halide floodlight producing 110,000 lumens of illumination that is U.L approved for use in wet areas and provides a versatile lighting solution for a wide variety of industrial and commercial applications. This fixture is weatherproof and combines rugged durability with an aesthetically pleasing exterior and highly efficient performance. The MHFL-1000W-HB-20C-REM-10C offers two mounting choices, a pole top slip fit mount which will accommodate 2” or 2 1/2” pipe and a trunnion type yoke bracket mount which offers the ability to attach the fixture to flat surfaces and walls. The remote ballast is multi-tap and allows operation with current of 120, 208, 240, and 277 volts with 80V & 220V optional also available. The remote ballast allows this unit to be used in high heat applications. 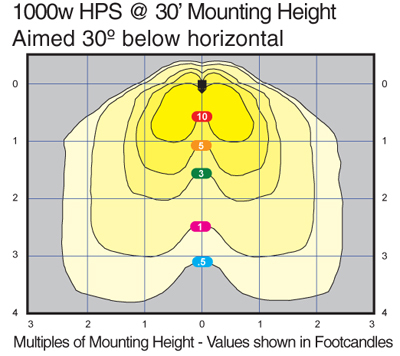 The ballast is the first point of failure in high heat applications. By makingg it a remote ballast, it allows the lamp to operate in the high temp environment while the ballast is installed in a remote location outside of the high heat area. A thermal, tempered, shock resistant, 5/32" thick glass door and heavy duty silicone gasket protect the metal halide lamp from the elements. The door is held captive to the fixture for convenience and safety and the door frame is constructed of die cast aluminum. This lamp is ideal for use in locations where operators need expansive and powerful illumination yet want fixtures that will help to retain a degree of attractive appearance. Wiring: The MHFL-1000W-HB-20C-REM-10C is equipped with a 20ft 16/3 SOOW cord between the light fixture and the remote ballast box. An additional 10ft 16/3 SOOW cord with blunt cut end connects the ballast box to the power source. Operators install the lamp, run wiring from the ballast box to the lamp, then mount the ballast enclosure and connect the lamp to power. 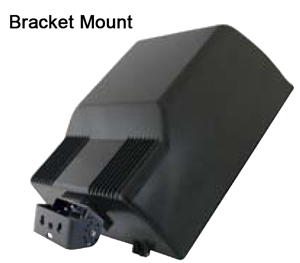 The remote ballast is a quad tap 120/208/240/277 and housed inside a NEMA 3R enclosure with wall mount taps. 2. 93% Efficiency Multi-Tap Remote Ballast. 3. Rugged Die Cast Aluminum Housing & Lamp Boot. 4. Captive Held Lens Door - 5/.32" Thick Glass. 5. Heavy Duty, High Temperature, Silicone Rubber Door Gasket. 6. Socket: Specification Grade Mogul Base Porcelain with Heavy Gauge Bbrass, Nickel-Plated, Double Lamp-Grip Screw Shell and Spring-Loaded Center Contact. 8.Yoke Mount: Zinc Plated Steel Yoke with Architectural Bronze Polyester Finish. 9. 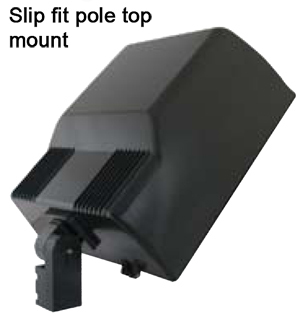 Poletop Mount: Built-In Slip-Fitter for Internal Wiring. Adjustable Laterally and Vertically. Slip Fits 2” or 2 1/2” Pipe. 10. Architectural Bronze Polyester Finish.